The current ranking of the Cresconnect is 1 in London, 2 in UK and 20 globally. This company is very helpful in providing high rankings for your business website. 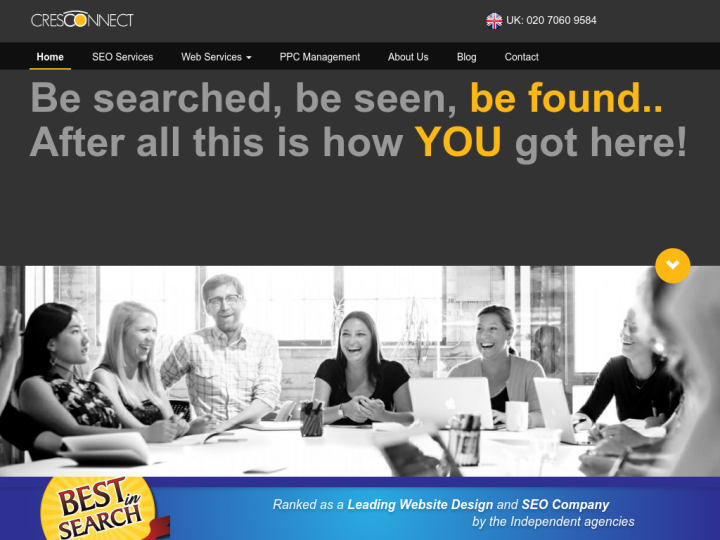 If your site is invisible, then you can take the advantages from this company. You will find professionalism and passion in the working strategy of the company which is different from the crowd. The company optimizes the website not only in London, but at the global level. It makes the website so attractive and user-friendly due to its expertise in the field of web designing. 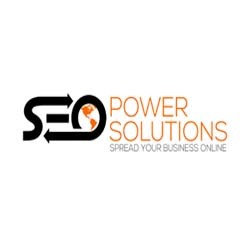 The company also provides the PPC advertising and the SEO services. We have been using Cresconnect for over 12 months with assistance for our SEO campaign. We also recently decided to use Cresconnect to redevelop our website, which we very recently launched. We have been really impressed with Cresconnect. They really seem to understand our business and there customer services are really good. During the implementation of our new website, they were extremely committed and delivered our site on time. We can't fault the them on quality either, the site has exceeded our expectations and they have proven they can deliver results. Thanks Cresconnect from everyone at 'Italian Style Weddings'. The web design & SEO services provided by Cresconnect Agency are excellent. The team of their dynamic and confident professionals (a A+ for Amin!) with high standards and an eagerness to excel is matchless. Keep up the outstanding work! We are absolutely delighted with our new look website. We chose Cresconnect above other web designers because they produced fresh looking, professional designs at a competitive price. The communication throughout the process was excellent, they always listened and reacted to feedback. We would highly recommend Cresconnect to any business or individual looking for new website.